Our pressure gauges are generally manufactured to order, however common sizes are stocked. Standard dial sizes include 63mm, 100mm and 160mm. Pressure gauges are available with many process connections including threaded, flush diaphragm, chemical or hygienic seals with remote capillary if required. Our gauges offer all 316 stainless steel wetted parts and 304 stainless steel enclosures. 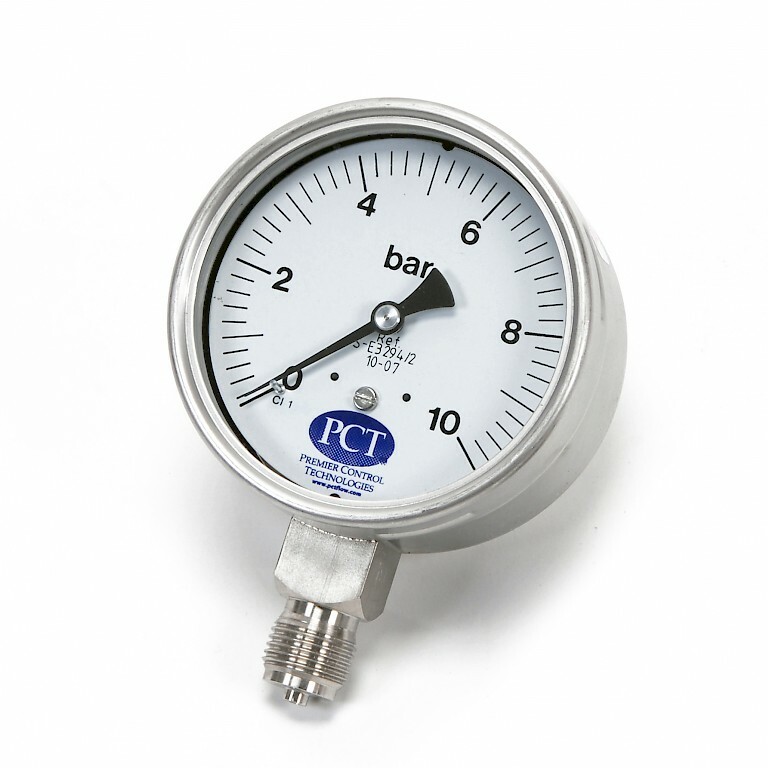 Our gauges come in many common pressure ranges with single or dual scales. We do however like to be different so if you have a custom pressure range we can create a custom scale for you. We can even print your logo on the dial!